Techniks Certified Tooling means the critical features of each holder has been individually lab tested, measured and inspected for quality. 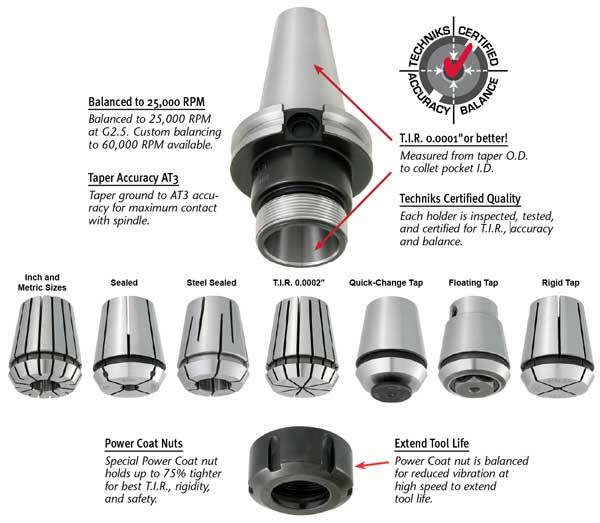 Depending on the holder this can include: balance, dimensional accuracy, collet pocket runout (T.I.R. ), bore I.D. and taper accuracy. Techniks Certified guarantees your holder will meet or beat our published specifications. Change worn taps in Seconds! Quick-Change Style!